After Indonesian artist Ardian Syaf uploaded  a sketch he made for X-Men Gold #1  on Facebook, his fans quickly spotted symbols used by the Movement in Defense of Islam, in their controversial campaign against the Christian governor of Jakarta, the country’s capital. Indonesia is the largest Muslim-dominated nation in the world. In recent years, hardline Muslim groups like the Islamic Defenders Front (FPI) have been aggressively criticizing the government for not defending Islam enough. The symbols used are 212 and QS 5:51, which FPI popularized during the massive rallies  it organized last December 2016 to call for the removal of Jakarta Governor Basuki “Ahok”  Tjahaja Purnama. Ahok is accused of insulting the Quran. QS 5:51 refers to the Quranic chapter 5 and verse 51, which Ahok allegedly quoted in a public speech to insult Islam; 212 refers to the anti-Ahok rallies last December. More than 200,000 attended the rally under the banner of Movement in Defense of Islam, but the event was criticized for promoting religious intolerance. Using violent rhetoric, many leaders of the rally urged the public to reject Christian and Jewish leaders. Syaf, who is one of the country’s prominent artists who worked with both DC and Marvel Comics, admitted that he inserted the 212 and QS 5:51 symbols because he believes in the principles of the Movement in Defense of Islam. Some of his fans were infuriated and called the attention of Marvel Comics. 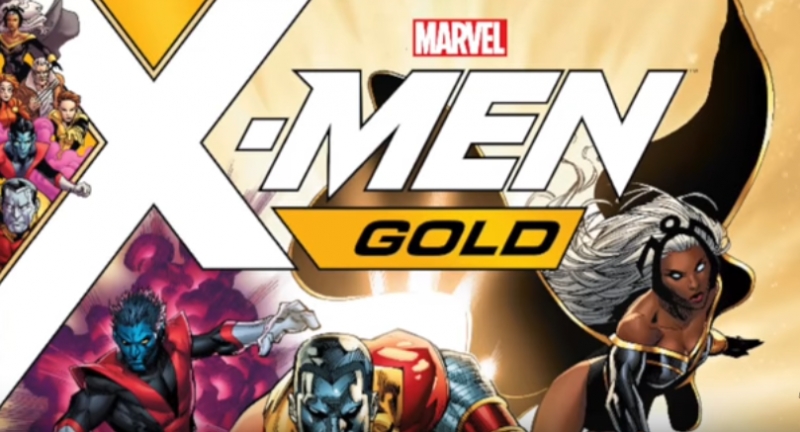 The company acknowledged the complaints of its readers and released a statement  announcing the removal of the inserted symbols in subsequent editions of X-Men Gold #1. It added that the artist will face disciplinary action. He added that Syaf is simply passionate about his beliefs noting that the controversial artist once inserted  the image of Jokowi, the country’s president, also on one of the pages of Marvel Comics. Immediately after BleedingCool.com broke the news about the insertion of the symbols in the comics, Syaf encouraged his fans to buy the “soon to be collector's item.” He argued  too that the subliminal messages should not be interpreted seriously. According to a report  by Jawa Pos newspaper, Syaf said his contract was terminated  by Marvel Comics despite his pleading that he was neither anti-Christian nor anti-Muslim. Nevertheless, he never apologized for offending non-Muslims. While Syaf was widely condemned outside Indonesia for inserting the symbols that promote hate against other religions, he was praised by Muslim youths sympathetic to puritan Islamic interpretations. These groups considered Syaf's action as a service in defense of Islam. Ironically, one of the organizers of the 212 rally was about to charge Syaf with blasphemy  but they withdrew it after learning that the artist is a supporter of their movement.